FIU has some of the top marine researchers in the country, including several focused on the science of sharks. They are available for interviews in English, Spanish, French and Greek. Well-known internationally through his research on the ecological role of large sharks both in Australian and Florida waters, Mike Heithaus also serves as the dean of the College of Arts, Sciences & Education at FIU. Prior to joining FIU in 2003, he was a staff scientist at the Mote Marine Laboratory’s Center for Shark Research, where he worked with National Geographic’s Remote Imaging Department conducting studies using their “crittercam” and hosting a television series showcasing their work. He currently conducts research using cutting-edge technology, including cameras worn by animals, to unravel the lives of hard-to-study marine creatures from whales and dolphins to sharks, seals and turtles. His lab’s work in Shark Bay, Australia is the most detailed study of the ecological role of sharks in the world and has been used as the underpinning for affecting positive policy changes in shark conservation initiated by several prominent Non-Governmental Organizations. He also serves as a member of the science advisory committee for Pew Environment’s International Shark Campaign and is one of the lead researchers for Global FinPrint. He has appeared in numerous documentaries and has made several appearances on Shark Week. This year, he will be featured on Shark Week in Sharks vs. Dolphins: Face Off airing at 10 p.m., Wednesday, June 29. Mark Bond is a postdoctoral scientist at Florida International University. His research focuses on assessing the distribution, abundance and behavior of sharks and rays and whether they benefit from marine protected areas. Originally from South Africa, Bond has conducted research in the Bahamas, Belize, Fiji, Kenya, Madagascar, Panama and South Africa and throughout the Western Atlantic. He has served as an advisor to the City of Cape Town’s Shark Attack Advisory Panel (South Africa) and as an advisor to the Belize Fisheries Department. Bond earned a bachelor’s degree in marine geography from Cardiff University (Wales, U.K.) and a Ph.D. in Marine Biology from Stony Brook University. Camila Cáceres is a doctoral researcher in the Marine Sciences Program. Her research interests range from marine predator ecology and behavior to fisheries and marine conservation. She has conducted research throughout the United States, including California, Florida and North Carolina, as well as Colombia, Guadeloupe and Mexico. Cáceres has a bachelor’s degree in marine biology from Duke University. She has done extensive television and radio media interviews on shark attacks and other marine life. Cáceres is fluent in Spanish. Chapman will begin his role as associate professor of marine sciences at FIU later this summer. He is the lead principal investigator of Global FinPrint, the largest-ever attempt to survey the world’s shark populations. Chapman is a molecular ecologist whose research focuses on the biology, evolution and ecology of large marine vertebrates, particularly sharks and their relatives. Originally from New Zealand, Chapman has conducted research in Hong Kong, the Maldives and throughout the Western Atlantic on hammerhead, great white, tiger, lemon, white tip and black tip sharks, as well as sawfish and stingrays. His work has contributed to the establishment of marine protected areas in the Bahamas and Belize. Chapman has authored numerous articles in journals, including Molecular Ecology, PLoS ONE, Biology Letters, and Science. Chapman has a Ph.D. in Oceanography and Marine Biology from Nova Southeastern University. Jeremy Kiszka is a research scientist at Florida International University. His research lies broadly in the ecology, behavior and conservation of large marine vertebrates, including cetaceans (whales and dolphins), sea turtles and sharks. He is particularly interested in understanding how changes in their abundance and behavior, as well as fisheries and human activities, may affect the structure and function of their ecosystems. Kiszka conducts research in the western Indian Ocean (Madagascar and the Mozambique Channel islands), South Pacific (French Polynesia and New Caledonia), and the Caribbean. Kiszka has authored numerous book chapters and articles in journals, including Biological Conservation, Marine Ecology Progress Series and Journal of Experimental Marine Biology and Ecology. He also recently published a book on poorly known sharks and rays from East Africa. Kiszka has a Ph.D. in Marine Biology from the University of La Rochelle (France). He is fluent in French. Papastamatiou is an assistant professor in the Marine Sciences Program. His research interests include predator physiology and behavior, animal movement and foraging ecology, and the ecology of deep coral reefs in low light environments in the tropics and subtropics. 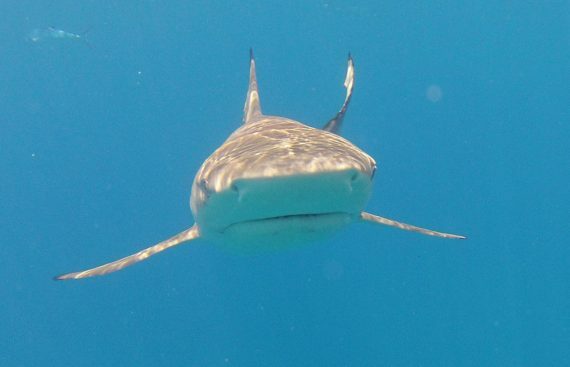 He uses acoustic and satellite technologies, as well as tagging technologies, to study black tip reef sharks, leopard sharks, great white sharks, tiger sharks and stingrays, among other marine animals. Papastamatiou has served in a number of research roles, including a research fellow at the University of St. Andrews in Scotland, U.K. and postdoctoral fellow at the Florida Museum of Natural History. A native of London, Papastamatiou has conducted research in California, Florida, Hawaii, South Africa and throughout the Mediterranean and Northern Pacific Ocean. He earned a Ph.D. in Zoology from the University of Hawaii at Manoa. Papastamatiou is fluent in Greek. James Fourqurean is the director of FIU’s Marine Education and Research Initiative. He is also a professor in the Department of Biological Sciences and a researcher in the Southeast Environmental Research Center. Fourqurean is an ecologist who specializes in seagrass ecology, nutrient cycling in marine environments, and biogeochemistry of coastal marine systems. Specifically, he has explored how sharks can structure the entire ecosystem in tropical and subtropical regions by the way the influence their prey. He has extensive experience in the marine areas of South Florida, including Florida Bay, the Florida Keys and Biscayne Bay. In recent years, he has also worked in Bermuda, the Mediterranean Sea, Mexico and Western Australia. Fourqurean has a Ph.D. from the University of Virginia.